Aleph Group Inc.: How Can a Mobile Command Center Expand Your Business or Organization and the Community? How Can a Mobile Command Center Expand Your Business or Organization and the Community? Our mobile command centers are fabricated on heavy duty commercial chassis or custom trailer platforms. Whether it's a trailer or self motorized, our mobile command centers comply with all regulations. Mobile Command Centers allow law enforcement agencies to expand their boarders and services deeper into the community and impact their citizens. Mobile Command Centers come standard with the following features; commercial chassis- popular brands, chassis / body removal for future replacement, aluminum body construction, high grade body insulation throughout, interior headroom 81 inches and recessed fluorescent lighting system. The benefits that come with a command center include; tailored designs, custom fabrication, expandable, green energy, low maintenance, user friendly, spacious, storage and lightweight. Mobile command centers alleviate the hardships of a fixed facility for a law enforcement agency to push past the their walls and impact their community. 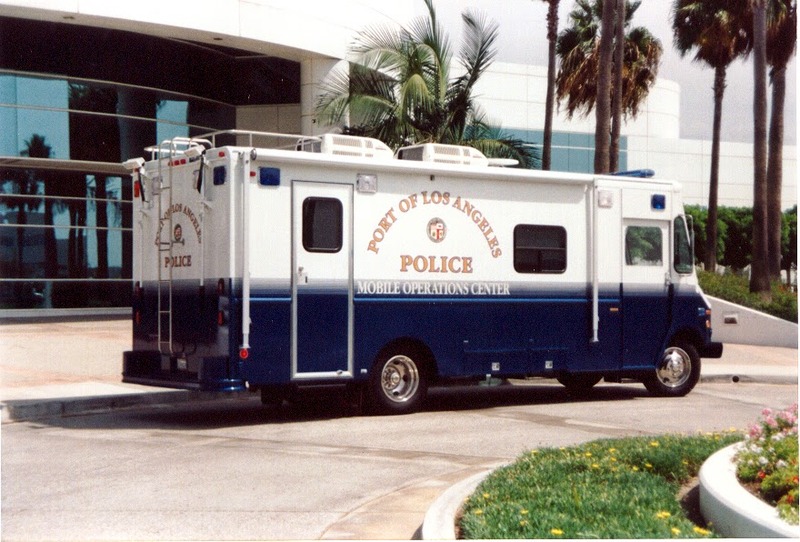 Other types of command centers may include a surveillance unit, crime scene vehicle or DUI trailer. These specialty vehicles enable a variety of amenities to the agencies that would not normally be accessible without the design and manufacturing of mobile command centers by Aleph Group Inc.
Aleph Group Inc. is proud to partner with local and world wide law enforcement agencies to expand their services, so that they may protect and serve the communities they live in. If a mobile command center, crime scene vehicle, surveillance unit or DUI trailer may positively impact your business or organization and the community contact Aleph Group Inc. today. Email us at info@alephgroupinc.com or call us (951)213-4815.